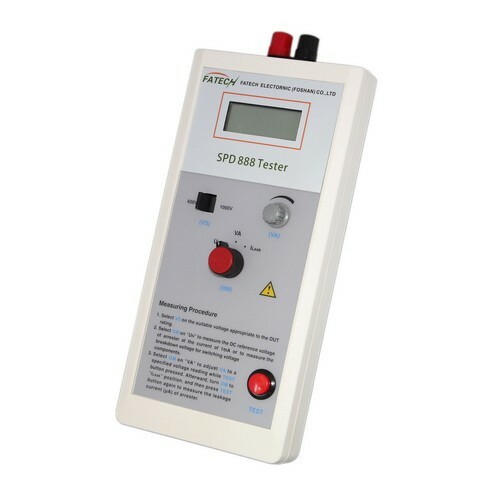 ﻿ Test Devices - Fatech Electronic CO., LTD.
Test devices helps you to guarantee lightning protection products quality, which including multimeters, varistor testers, impulse discharge current generators, we also can design and produce test devices according to customer's requirements. 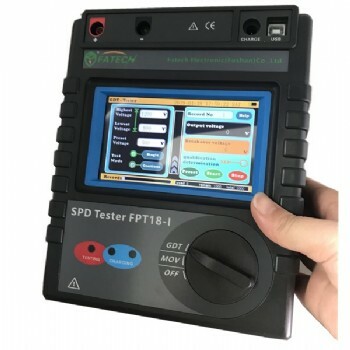 Surge Protective Devices Tester, SPD Tester 888 is designed for on-site testing of Surge Protective Devices (SPD) and the SPD’s components. 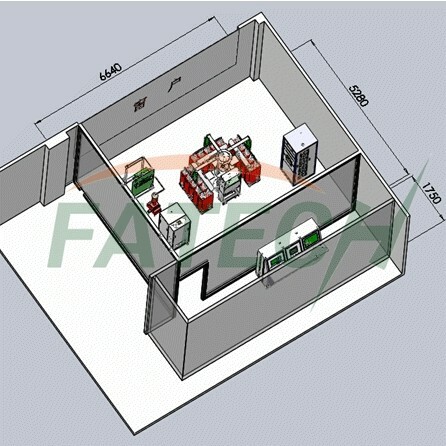 FPT15-I 2500A Portable surge generator is designed for on-site testing of surge protective device and lightning strike counter. 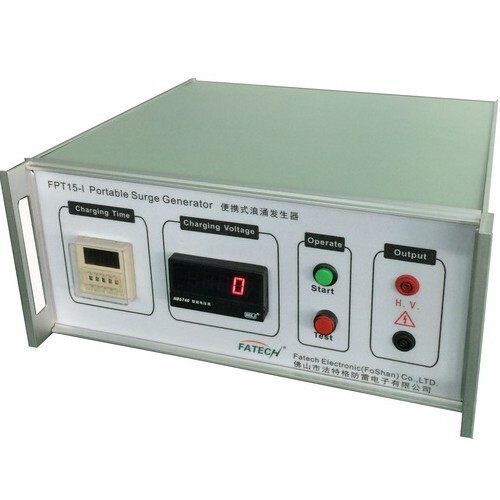 Impulse current generator 120kA 8/20us, suitable for test surge protection products, metal oxide varistors (MOV), gas discharge tubes (GDT).